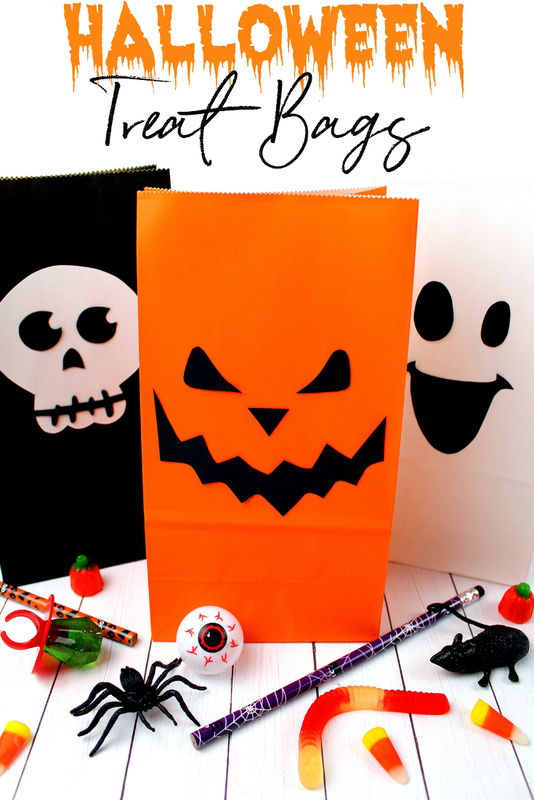 My kids love arts and crafts, truth be told I do too, and these Halloween Treat Bags are an easy, fun and quick craft! 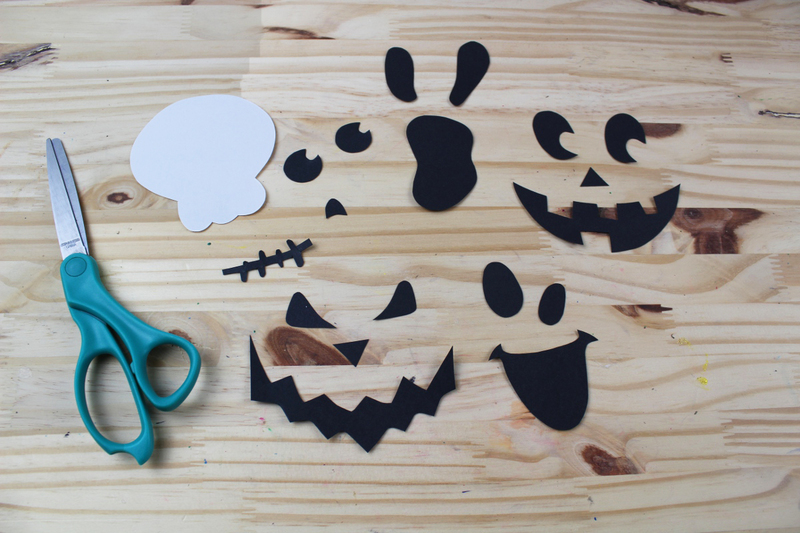 There is nothing better than pulling out all the craft supplies and letting the kids have some creative fun. It also helps keep busy little ones still and in one place for a little while so mom can maybe put up her feet. Holidays are always a great time to craft. From wreaths to decor, the crafting possibilities are endless! We’ve hosted a few Halloween parties over the years and if we don’t give little loot bags to the kids, we had a trick-or-treat station with candies for them to pick from. Instead of plain old bags, we love to spruce things up and make Halloween treat bags. If you are hosting a Halloween party or if your kids love to craft, gather your supplies and make these spooky DIY Halloween treat bags! I’m sharing some instruction pictures and then below you can print off the instructions and supply list. Get your supplies ready. 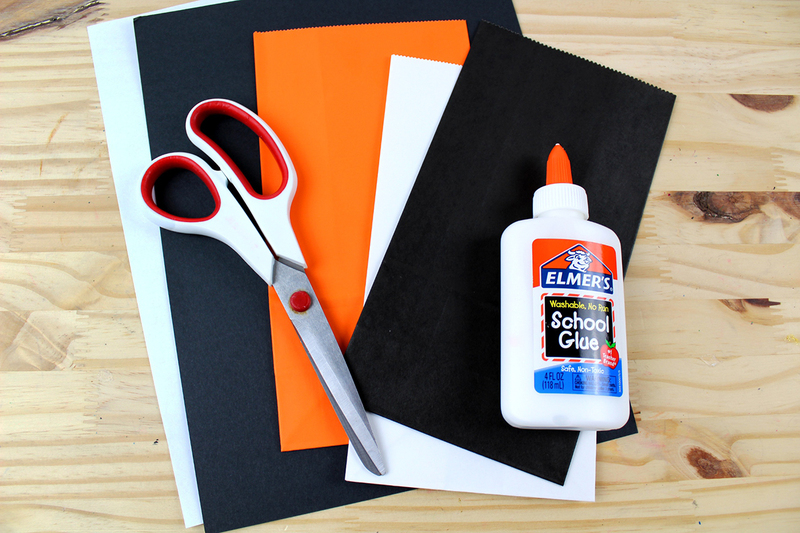 You will need some black and white cardstock, black, orange, and white paper bags, glue, and scissors. 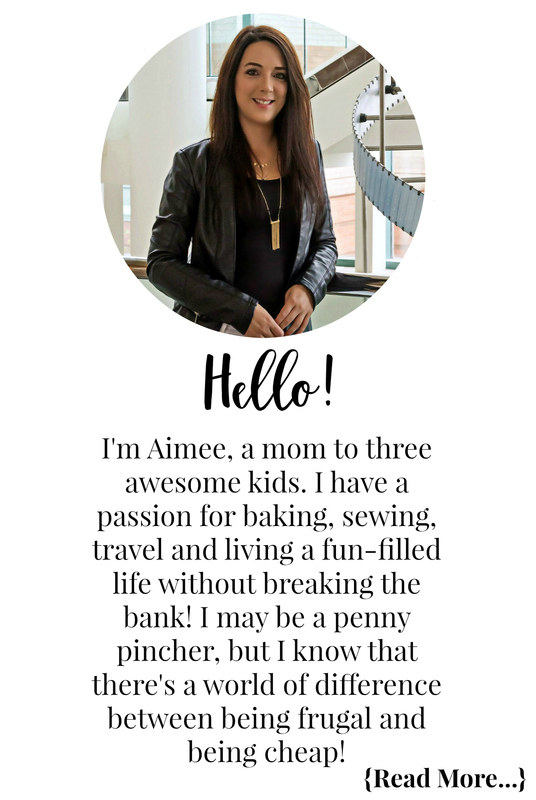 Print off the faces for your bags, trace them onto your black and white cardstock, then cut out the pieces. Next, you need to glue your skulls eyes, nose, and mouth onto his head. Let it dry for a few moments and then glue it onto the black paper bag. 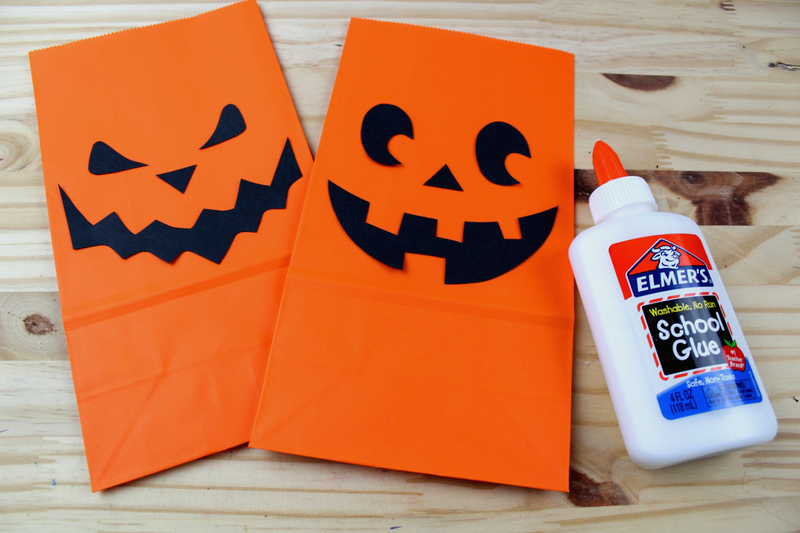 Glue your pumpkin faces onto your orange paper bags. Mix and match the facial features to create your own looks. 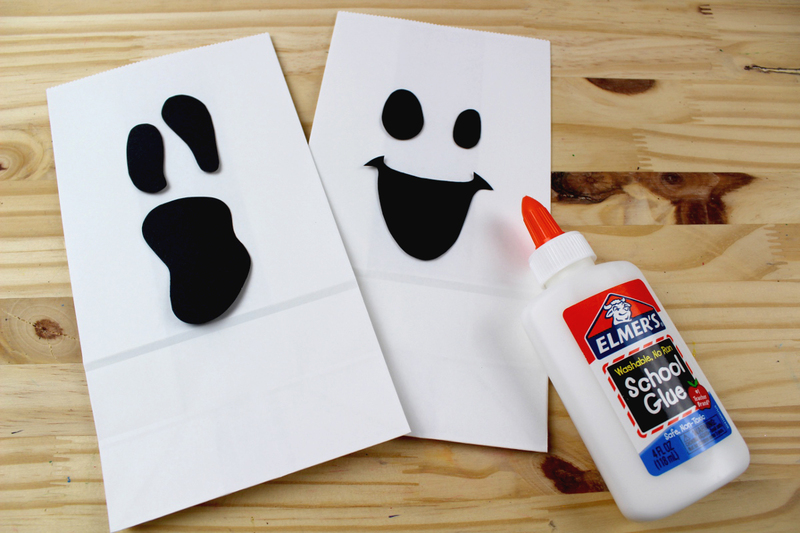 Finally, glue your ghost faces onto your white paper bags. Allow your bags to fully dry before using for treats! Print out the Halloween Treat Bag Template. Cut the template out and trace onto black and white cardstock. 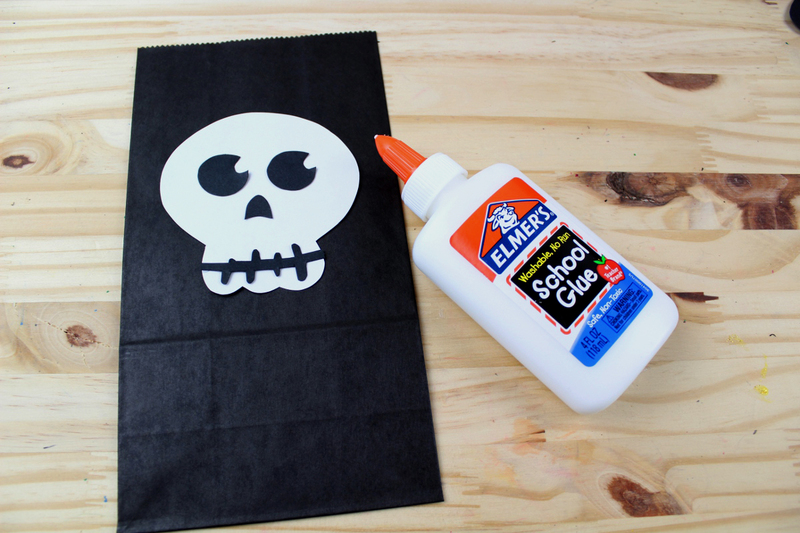 Glue the Ghost, Pumpkin and Skull face onto white, black and orange paper bags. 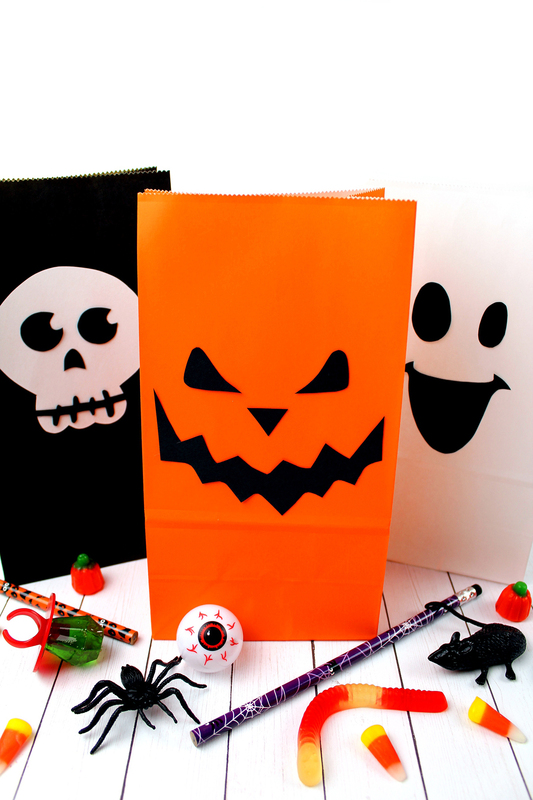 Add candy and small toys to the treat bags for a fantastic Halloween party favour! 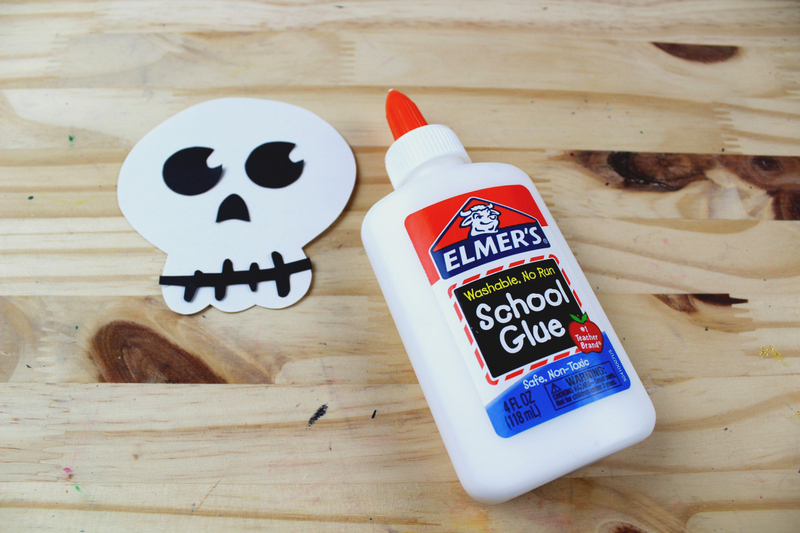 Check out these other great Halloween crafts! I love how simple yet cute this is! We usually just buy white paper bags and doodle on them! I will definitely be doing this with the kid next Halloween!